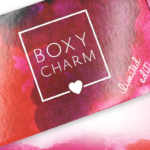 Look Fantastic Beauty Box February 2019 SPOILER! We have a spoiler for the February 2019 Look Fantastic Beauty Box! I used to love look fantastic,I’ve been with them for over 2 years but the last 3 months have been unremarkable. I’m honestly considering canceling. I have tried dr paw paw (this is my 3rd one but from other subs) and found the texture to be unpleasant. The first aid cream is so strong scented to me I’m not sure I can use it but it did feel nice. I honestly can’t remember the rest which is sad. I loved getting this one for skincare I’ve never heard of before (I have 3 favs i now buy from look fantastic regularly) I’m going to hold out atleast till my year commitment is threw. I’m pretty disappointed in this box this month. I just got my January box and it was missing TWO items. The Dr. Paw Paw, and the First Aid Beauty cream. I contacted customer service, and the offered me $10 credit in the store. REALLY?? The value of the two items is almost $25 and they want to give me a $10 credit in their store? Doesn’t seem at all like a solution to me. Will be interesting to see what color “version” we get. Not impressed with this spoiler. Still waiting for Jan box. Was just told they do not have tracking numbers because it ships from the UK. So I have to wait till Feb 1st to get my money back for no box. They charged me in Dec for it and it was shipped 2 weeks ago. Anyone know how long it takes to get? TIA. Last month I was charged on Nov 30/Dec 1 and it took until about Dec 28 to get my box. It takes approx. 2-3 weeks usually. I have never had a box go missing but it does take a while to get to me. I thought it looked familiar! I loved my last two boxes but need to take a break due to product overload. Otherwise, this is a great sub box! Totally recommend.